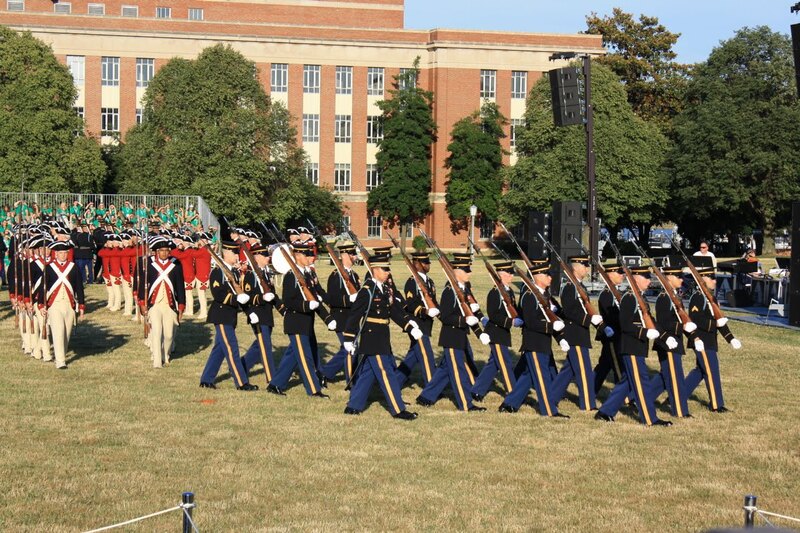 Wednesday evening we attended the Twilight Tattoo at Fort McNair in Washington, DC. 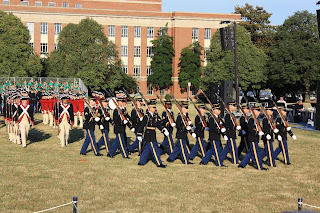 This regal performance features Soldiers from The 3rd U.S. Infantry Regiment (The Old Guard), the U.S. Army Band "Pershing's Own" and other proud men and women of the U.S. Army. It is quite an amazing performance. It was refreshing to see so many young people in attendance filled with patriotic American pride. What's that you say? Where's the beer connection? Well, according to MilitaryTattoo.org, a tattoo is defined as "a military display consisting of music, marching, and exercises. [from Dutch taptoe, shutting off of taps, signalling the closing of taverns at the end of the day].